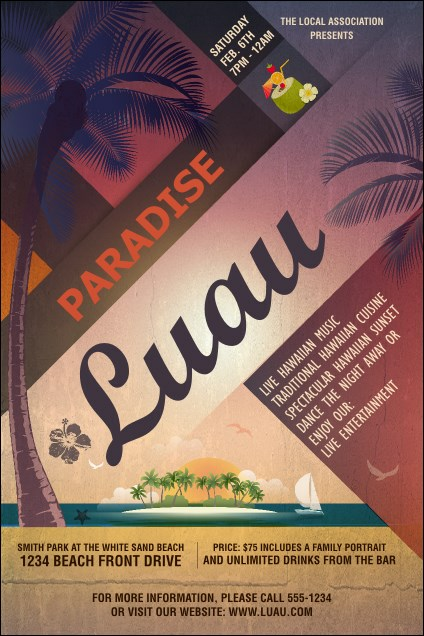 Make your event promotions easy and post the Paradise Poster in advance. This relaxing beach scene overlooks a deserted island in a tropical locale, with a sailboat and hibiscus adorning the design. Pair with tickets, flyers and invitations in a Matching Event Kit for a cohesive event. Find more vacation-themed designs at TicketPrinting.com.